White Russian Shot - The Perfect Way to Say Goodbye to Monday! 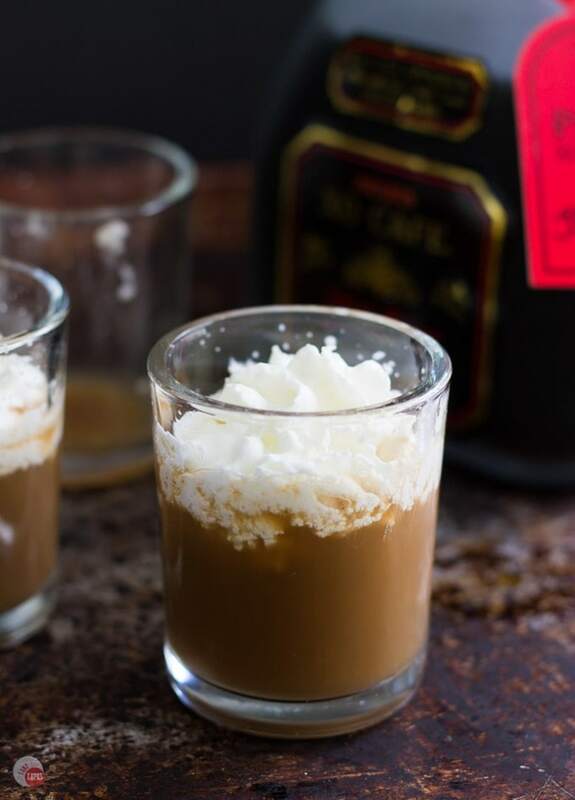 The boozy concoction known as the White Russian combines vodka, coffee liqueur for a kick, and cream to round it all out. I have taken it down in size to a White Russian Shot that is perfect for a Monday Pick Me Up! Do you hate Mondays as much as I do? Do you need extra coffee on that horrible day just to get you started? How about when you come home from work? I know that I do and I work from home! Everyone in my family is a coffee drinker. They drink pots of it all day long. I am the only one who doesn’t drink coffee in the house so I bought the hubby a single cup coffee maker so he can make it as he gets thirsty. He’s not home all the time as he travels for work but when he’s home he drinks a lot. With the single-serve maker, I don’t have to wash a pot or worry about leftover coffee. Even though I am not a coffee drinker, I do love the smell. I grew up in Jacksonville, Florida where the Maxwell House coffee plant is located. Driving through downtown was always a pleasure because it smelled like you were immersed in a steaming cup of coffee. Not drinking coffee doesn’t stop me from making coffee drinks with lots of additional ingredients. Chocolate, peppermint, bourbon cream, plain cream and sugar, and recently turmeric and cinnamon are all being added to my coffee cups. I have even had a few White Russians on occasion. Never had a White Russian? It is a lovely drink consisting of vodka, coffee liqueur, and cream. Usually served in a highball glass with some ice. Sort of like an iced coffee with a little added kick. Plus, what’s not to like about coffee liqueur? Mondays definitely call for an extra pick me up in terms of getting through the day or even something to help you end the day on a good note and get you on to Tuesday. I crave something sweet with maybe a little caffeine to finish a horrible day at work or celebrate just making it through without killing someone. A White Russian is a good way to handle all that Monday throws at you but maybe not a whole one. This is where my White Russian shots come it. Strolling through the liquor store the other day I stopped on the cordials and liqueurs aisle to grab some amaretto. I saw a tequila bottle that was filled with a dark liquor. Turns out it was coffee liqueur but made with tequila! EEK! Had to have it immediately! 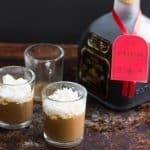 Turns out that this tequila coffee liqueur was the best thing to use in my White Russian shot! The coffee flavor came through clear and crisp and mixed well with the vodka and the cream. 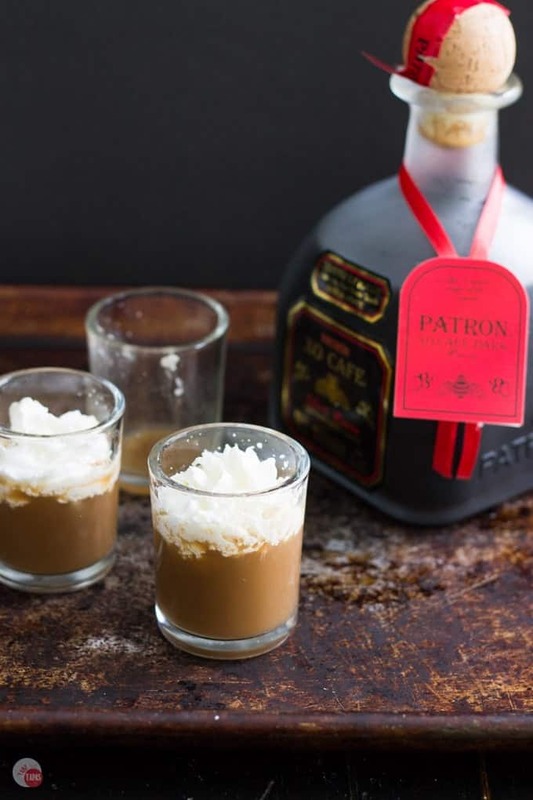 My White Russian Shot is just the right amount of coffee, cocktail, and dessert. The perfect way to end a Monday… How are you ending your Monday’s? The boozy concoction known as the White Russian combines vodka, cream, and coffee liqueur for a kick. A White Russian shot that is perfect for Monday! Mix the Coffee Liqueur and the vodka in a cocktail strainer. Stir to combine. Don’t shake or it will look weird. If you like this White Russian Shot, check out my other ones! One for every day of the week! Mmm mmm, these sound delicious! I am enjoying all of your shot recipes. Oh my. A cocktail shot specifically designed just for Mondays. Want to be my new best friend? 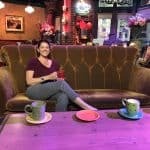 I too do not drink regular coffee, but I’ve never been known to turn down anything coffee flavoured – desserts, cakes, ice cream, milkshakes, and my favourite – cocktails! I also adore the smell – I used to grind coffee beans for customers in my Dad’s supermarket when I was a kid and I’ve found the smell intoxicating ever since. 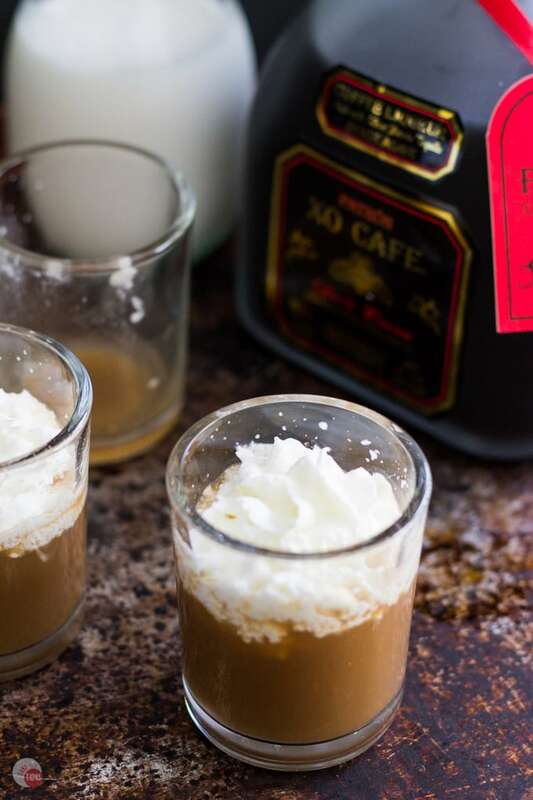 I’m going to have to do some research and track down a bottle of that coffee tequila, just so I can have the full effect of this heavenly shooter. I could smell it all day long but not really drink it. I tried! Someone mentioned putting a small amount of salt in the grinds while brewing and it does take the bitterness out but still not my favorite. Coffe Tequila on the other hand? YES! !